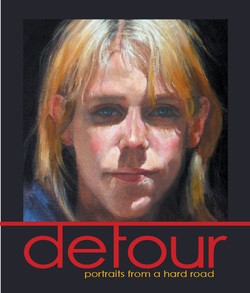 64 page paperback Catalogue of the detour exhibition held with the support of Melbourne Citymission and selected sponsors. Postage and handling costs are extra. International - shipping cost will be confirmed prior to despatch. Prices quote are in Australian Dollars. 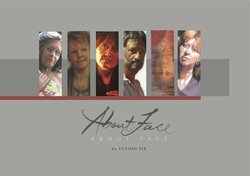 126 page soft cover book on the ABOUT FACE exhibition. RRP: $49.95 DISCOUNTED at end of tour. Sample pages from the ABOUT FACE book are shown below.